Sheís gold baby. 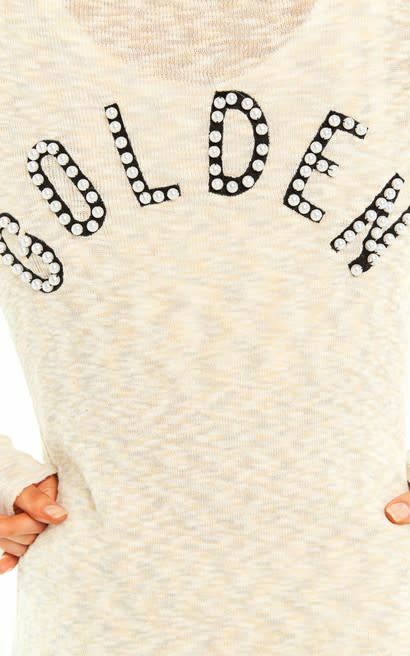 Stay golden with our Golden Osprey Cardigan. The Osprey is a fitted midi length cardigan in all over 1X1 rib. Made in a fine marled yarn, the Golden gets its name from the "Golden" embroidery and pearl applique it features on the back. Length: 39 3/4" Chest: 17 1/4" Sleeve Length: 23 1/2"